Our philosophy is managing pain the non-narcotic way. Kaplan Rehabilitation specializes in the diagnosis, treatment, and prevention of disability and pain caused by injury, illness or disabling conditions. We are experts at diagnosing complex injuries and illnesses. We explain your medical problems and treatment plan. We treat the whole person, not just the problem area. 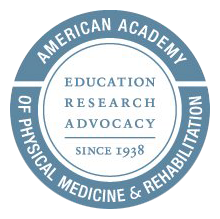 With over 30 years of combined rehabilitation experience, we have been responsible for providing outstanding physical medicine and rehab care in the area of physiatry. Physiatry is a medical specialty that deals with the diagnosis, treatment, and prevention of disability caused by acute or chronic disease. 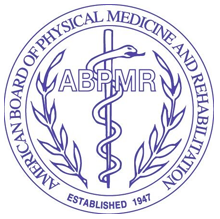 All Physiatrists are medical doctors certified by the American Board of Physical Medicine and Rehabilitation. To enhance physiatry services, treatment programs may include physical and occupational therapies, speech pathology, psychology and psychiatry services. Are experts at diagnosing and treating pain. Restore maximum function lost through injury, illness or disabling conditions. Treat the whole person, not just the problem area. Explain your medical problems and treatment plan. Work not only on treatment but also prevention. Our practice was established in August 2008 after over 30 years of combined rehabilitation experience, and has been responsible for providing outstanding physical medicine and rehab care. Our specialty is in the area of physiatry. Our many regular patients particularly value our total commitment to their care.